The medicine ball is the perfect piece of gym equipment to do a full body workout with. There are usually quite a lot of them around so even if the gym is crazy busy, grab yourself one and you can still get a good workout done. I’ve come up with a workout you can do at the gym, or maybe get a medicine ball of your own and you can do it anywhere from the comfort of your home to a nice outdoor space. Repeat each exercise for 30 seconds, no rest between and then give yourself a 1 min rest when the circuit is completed. Do the circuit 5 times for a strong 15 minute workout. Well just to clarify, peppermint tea is not technically a tea because it has no tea leaves in it. But, as a result, it means it is totally caffeine free, making it the perfect drink in the evening. It’s refreshing… If you’re a tea drinker, you’ll know what I mean when I say a cup of tea is nice even in hot weather. As you don’t usually have milk or sugar in this, it makes it an extremely refreshing drink, and adds a bit of variety from a typical glass of water. It helps digestion…It is thought that peppermint helps to ease the gas in your body and helps push it down when it stays in one area, which usually leads to bloating and tummy pains. So if you are the type of person to feel bloated or constipated quite often, peppermint tea may be a natural remedy for you. It can help suppress your appetite…. I am not sure if this one has any scientific backing but I know that it helps me. Sometimes when I feel a bit peckish, but know I don’t need to eat yet I opt for a peppermint tea instead. This usually stops me from getting incredibly hangry and overeating. 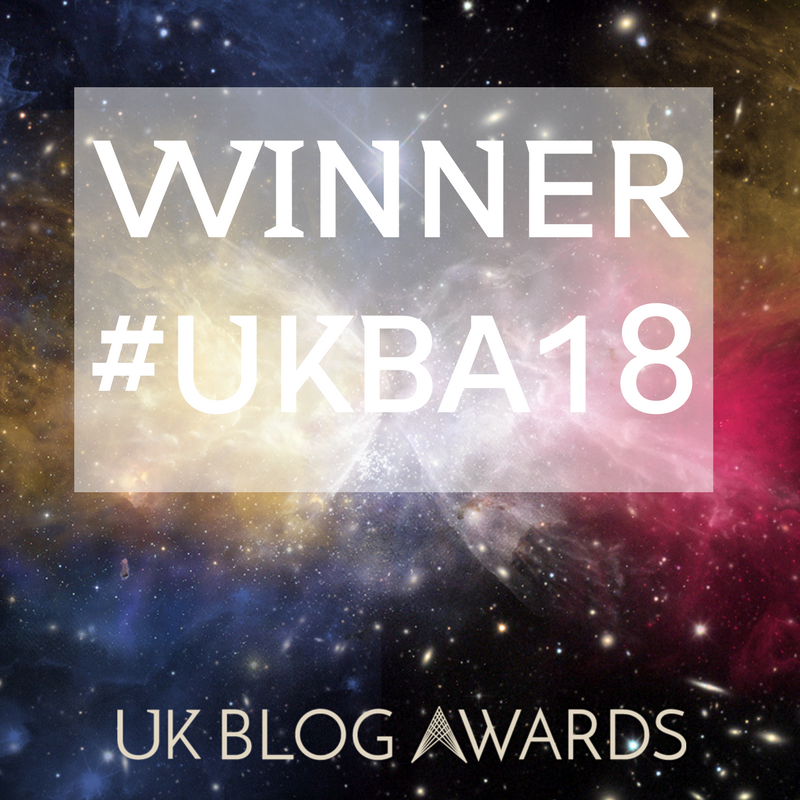 Being a bit of a tea snob, I like to make sure I am getting the best tea, and not just dust in a bag, so here are a list of my top 3 peppermint tea brands….. They are known for their cheap but great food and the same goes for their tea. Aldi have created their own speciality herbal tea range which rivals any other expensive brand. They are a fraction of the cost of the other supermarket’s special selection teas and you do not lose out on quality. 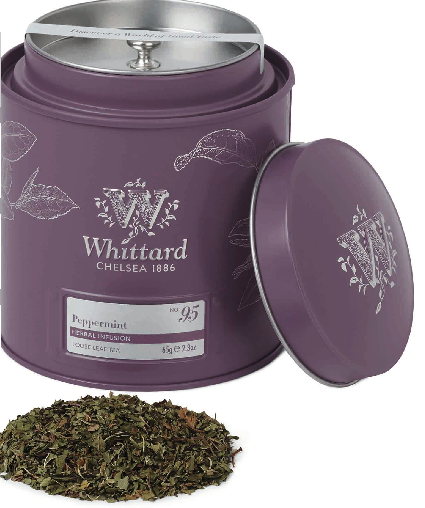 If you’re a bit of a traditionalist, you’ll love Whittard’s loose leaf tea caddy. 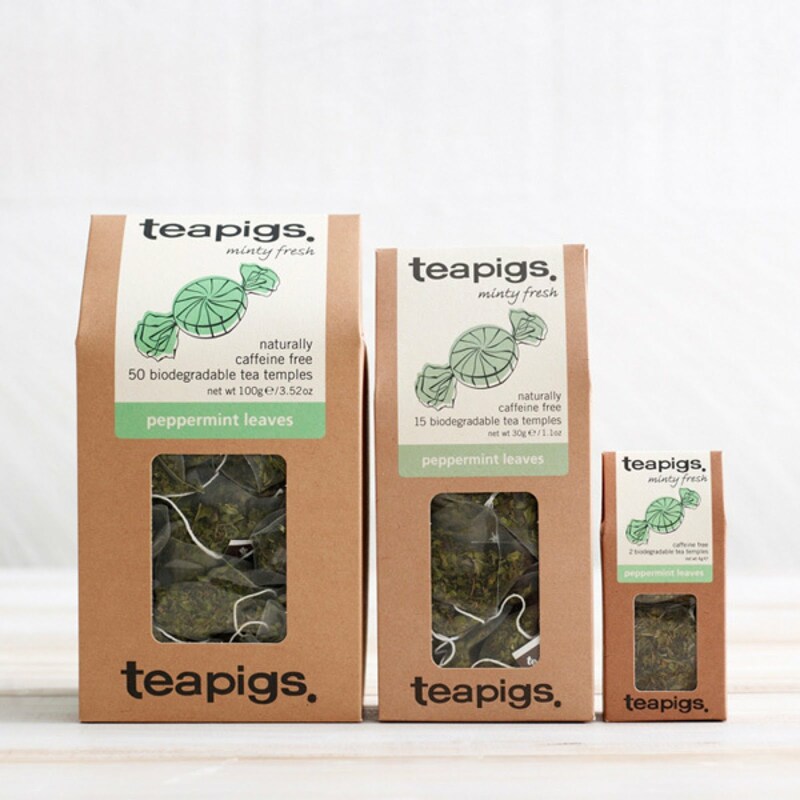 Tea leaves are better without the bag and placed straight into a tea pot with a strainer, this is because the leaves have much more space to expand and release flavour. You can also get refill packs so you can keep using your pretty tin. Making your own herbal tea is a lot easier than you think. If you buy a peppermint plans, take off the leaves when grown and leave them dry in the sun for 24 hours, you can then put them in a sealed container and use them, it is cheaper and will leave you extremely satisfied.